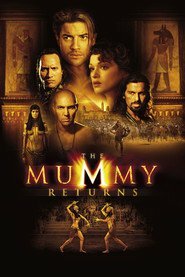 Living… in the 1920s in Hamunaptra, Egypt, the City of The Dead, where the early Pharaohs were said to have hidden the wealth of Egypt in a big underground treasure chamber. 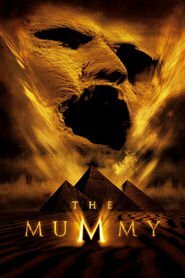 Along with the treasure is rumored to be Imhotep, who was mummified alive over four thousand years ago with thousands of flesh-eating beatles. Legend has it that if he is brought back to life, he will unleash the ten deadly Egyptian plagues described in the Bible all over again. Profession… treasure hunter in search for The Book Of The Dead. Many men have wasted their lives in the foolish pursuit of it, but no one has ever found it. And most have never returned. The book was never to be opened, never to be read, for it contained the incantations that could bring Imhotep back to life. Interests… adventure, but he may have gotten more than he bargained for. There are other treasure hunters looking for The Book of the Dead, and they want Rick dead too. Rick nearly escaped getting hanged. Relationship Status… something Rick can count on, even if everything else about this mission fails. He kissed Evelyn, the Egyptologist along with him on the mission, right before he was supposed to be hanged, minutes after they’d first met. Seeing as he was about to die, it seemed like a good idea at the time. There hasn't been much time for kissing since, but Rick knows if they’re alive when this is over, she'll be waiting for him. Challenge… avoidingbeing the cause of the deaths of millions. After finding the Book of the Dead, Evelyn read a page aloud, accidentally awakening Imhotep. A cloud of locusts descending on the city is only the beginning of the horror they witness. Rick is determined to "rescue the damsel in distress, kill the bad guy, save the world." Personality… brainy, fearless, and focused. But Rick’s a born adventurer with an insatiable thirst for the impossible. He’s determined to pursue what piques his curiosity. If it leads him to death, so be it. Rick O'Connell's popularity ranking on CharacTour is #1782 out of 5,000+ characters. See our top-ranked characters and read their profiles.